← Regency Nursing in New Jersey – Perfect Care! Posted on March 12, 2013	by Judah Gutwein, L.N.H.A. I met with a family yesterday for a tour of our facility. At a minimum, every employee working in any business or industry should have a ready response for a question like this. If an individual cannot articulate a proper response to a query like this, he/she needs to go back to the ‘drawing board’. This succinct, yet powerful statement is the driving force behind my/our excitement and motivation. We help people! We impact their lives and the lives of their loved ones in a most positive way! We offer them care, compassion and friendship during their most trying times. We treat them with the dignity and respect we would accord to our own loved ones, because each of them is indeed someone’s loved one! 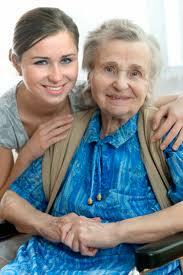 At Regency Nursing centers, we fully recognize the role we play in caring for the individual. This is cause for tremendous pride, but also carries with it exceptional responsibility. Our mandate is not to simply provide the requisite care, but to do so in a manner which allows our patients and residents to thrive. Not so, when you are engaged in the business of caring for people. It is insufficient to be second best. Second best, isn’t even second rate in Healthcare. This ‘promotion’ shocked me to the core! Is this a way of advertising your strengths?! Admitting that you are simply “above average” is adequate (perhaps) if you are selling ceiling tiles. However, consider this; would you entrust your loved one to a neurosurgeon who is “above average? !” Indeed, would you consider an “above average” nursing facility as adequately suited to care for your own Mom or Dad?! At Regency, we are proud to be excellent! We are relentless in our pursuit of excellence. Our excellence in care is what distinguishes us from amongst our competition and is the reason we are proud, excited and motivated employees. This entry was posted in HealthCare News, Long Term Nursing, Senior Care and tagged regency gardens nursing reviews, regency grande nursing reviews, regency jewish heritage nursing reviews, regency park nursing reviews. Bookmark the permalink.